Depite Wayne Monroe nan Bahamas panse li jwenn solisyon an pou pwoblèm ilegal ke peyi l ape fè fas jodi a. Li pwopoze ke gouvènman bahameyen an kòmanse tòtire ak touye moun yo k ap viv la san papye, imigran ayisyen espesyalman. Avoka bahameyen sa reyalize ke tòtire ak touye imigran ilegal, an patikilye Ayisyen, se yon mezi piman bouk; sepandan, li panse li pral sèvi kòm yon prevantif bay moun ki panse pou dezobeyi lalwa imigrasyon bahameyen. Dapre depite Monroe, "Si imigran ilegal, patikilyèman Ayisyen, te konnen nou te ap tòtire ak touye yo, yo pa ta vini"
Dapre dènye figi, apeprè 50,000 imigran ayisyen kounye a ap viv nan Bahamas. Wayne R. Munroe se Prezidan aktyèl ak pase nan Bahamas Bar Association. Yo te admèt li nan Bar nan Angletè ak Wales nan 1990. Li posede kabinè avoka Munroe & Associates, epi li pi popilè deyò nan Bahamas paske li te reprezante Anna Nicole Smith. Deputy Wayne Monroe of Bahamas thinks he has the solution for the current illegal problem faced by his country. He proposes that the Bahamian government starts torturing and killing the people living there without paper, specially illegal Haitian immigrants. 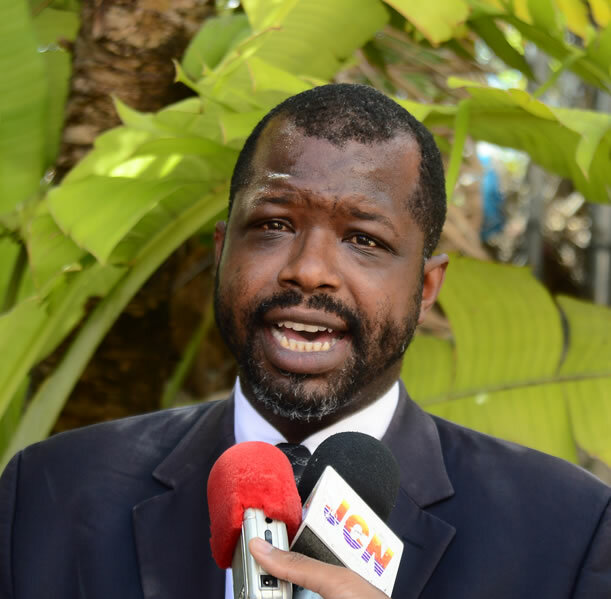 The Bahamian lawyer realizes that torturing and killing illegal immigrants, Haitians in particular, would be a harsh measure; however, he thinks it will serve as a deterrent to those thinking about breaking the Bahamian immigration law. According to Deputy Monroe, "If illegal immigrants, particularly Haitians knew we were going to torture and kill them, they would not come"
According to the latest figure, close to 50,000 Haitian immigrants are currently living in the Bahamas. Wayne R. Munroe is the current and past President of the Bahamas Bar Association and was admitted to the Bar of England and Wales in 1990. He owns the firm of Munroe & Associates, and is most famous outside of the Bahamas for his representation of Anna Nicole Smith.